Hey lovelies! I hope this weather is treating you kindly. Let me get to it. 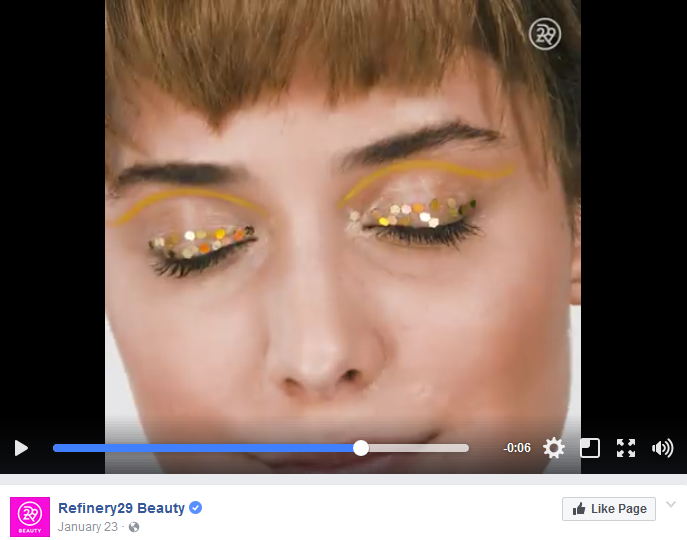 For a while now I've been watching little hair and makeup videos from Refinery29 Beauty's Facebook page. Quite a few of them I felt created looks that were -- to put it gently -- not to my liking. I brushed it off as just it being a matter of personal taste or preference. Then on June 21, 2017 they posted a video of a look they commented as "Shimmery summer goals", and Facebook went off. Applying too much shimmer on a woman who appeared to having aging skin. I am not talking about the model at all because she is a lovely woman. However, that much shimmer, gold shimmer at that, so close to our crow's feet really highlights those fine lines/wrinkles. I don't know of any woman who truly wants that to happen. 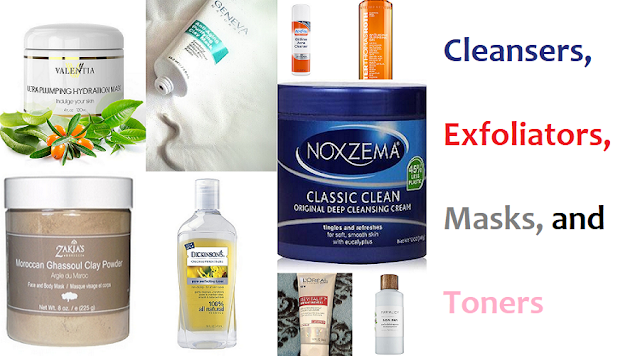 That is why we spend a fortune on eye cream! 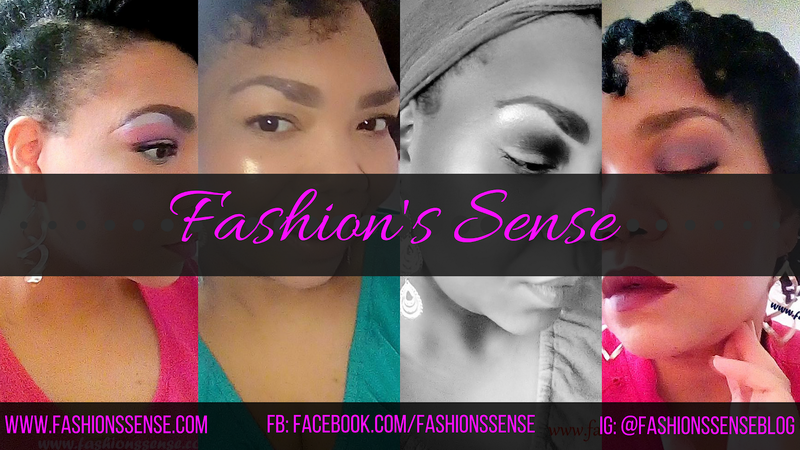 None of the eye shadows had much pigment to them. The reason that is an issue is because if the shadows were more pigmented then the shimmer would be more impactful. I mean they did say it was shimmery summer goals. The graphic liner, which looked more like an eyeshadow, was not executed as well as it could have been. I think I am just used to the way graphic liner is executed on the runway. Clean lines with sharp, crisp angles is what I am used to seeing. I am not good at doing that which why I don't do it. The biggest problem for me is the eyelash curler. It was dirty. It had dried mascara caked on it. Even if the eyelash curler is the same curler used on the model for the day, it still should have been cleaned before using it on her again. It was gross to see that dirty curler used on this woman's lashes. It had me worrying if she might end up with conjunctivitis or something. The use of a dirty eyelash curler is perhaps the major issue people have with this makeup tutorial. Facebook users dragged this video. I understand why they did. 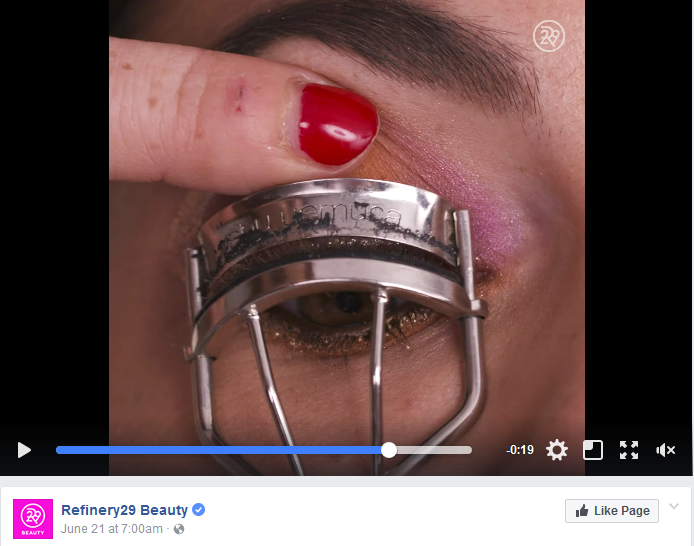 Not just for the problems I had with it but also because the final look is not quite what you expect to see from a beauty brand on their social media. Commenters were also picky about the lack of professionalism this video displayed. Many commented on the MUA's chipped nail polish as showing a lack of caring along with the uncleanliness of the eyelash curlers. A still from one of the page's beauty short cuts that people just were not feeling. 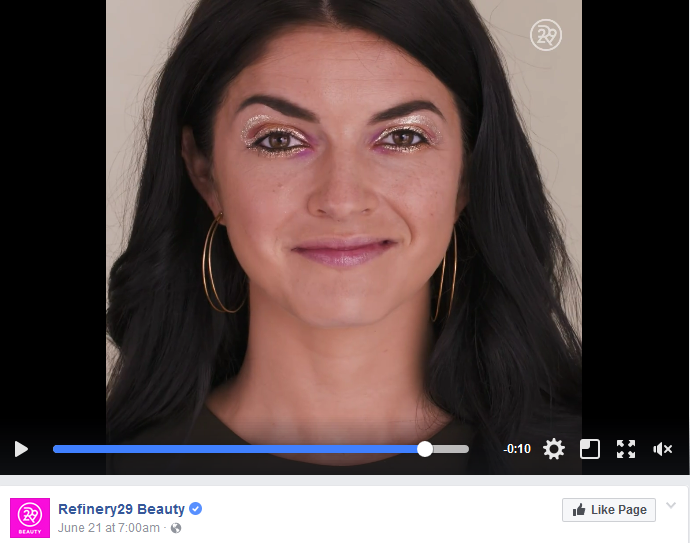 I think what has me the upset the most -- my main problem with the page -- is that they do this to lovely-looking women who still look lovely even with jacked up makeup. I know they are just modelling but it irritates me that they use these beautiful women to try and sell the public on awful beauty looks.I know darn well that if the model is barely passable, I will look a hot mess! The final look of the video in question is not flattering the beauty of the model. 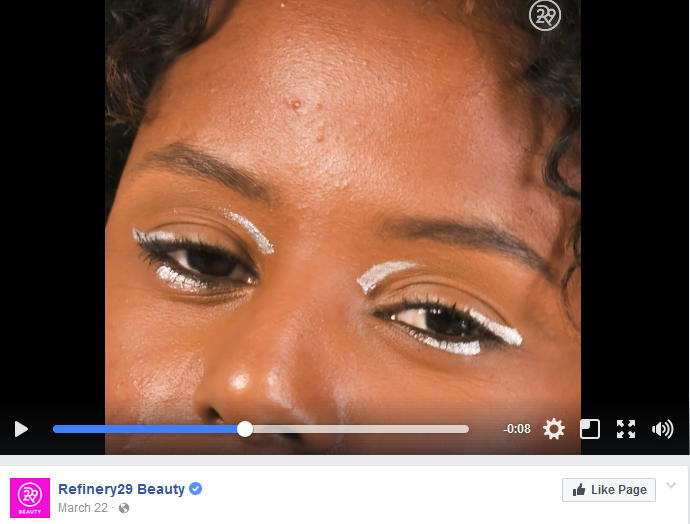 Do you think Refinery29 Beauty is trying to punk us every now and then? Or do you think they just take some risks that don't pay off?